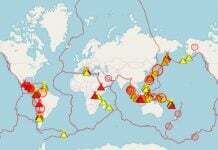 The volcanic unrest continues around the world with new eruptions occurring around the world. 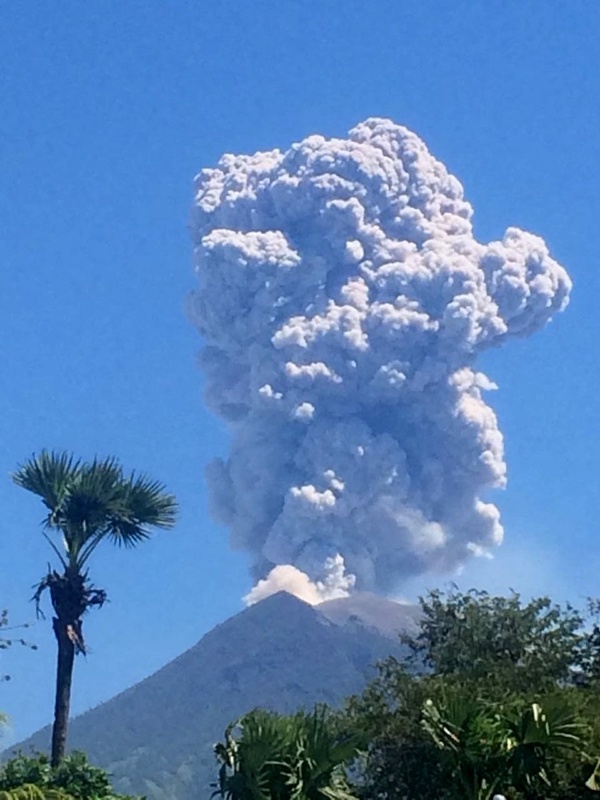 The latest are the explosions of Agung volcano (Indonesia), Anak Krakatau (Indonesia), Mayon volcano (Philippines), the volcanic unrest of White Island (New Zealand). Finally some updates on the Kilauea eruption (Hawaii) and the Fuego eruption (Guatemala). The seismicity of Agung is dominated by low frequency earthquakes, consistent with an effusion and an open system. The surface activity remains dominated by eruptions and ash emissions. Satellite images indicate ongoing effusive activity and a dome growing by 4 to 5 million m³ last week. 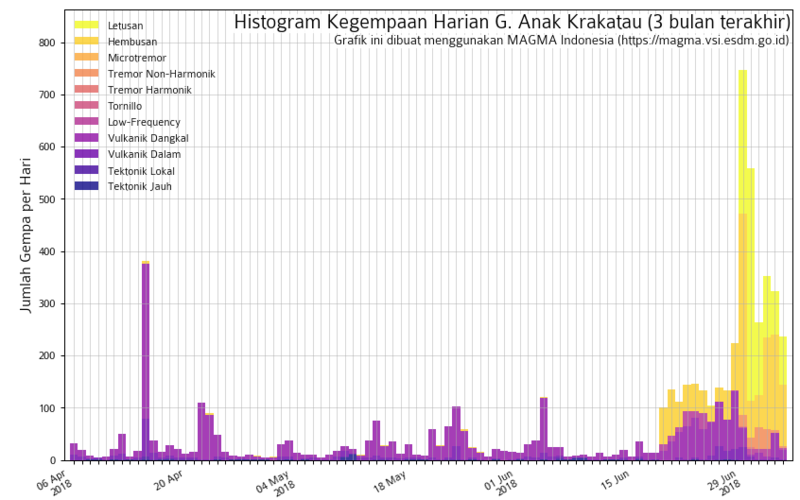 The flux of magmatic sulfur dioxide remains high, with 1,400 – 2,400 tonnes / day on 3 July, and 400 – 1,500 tonnes / day on 4 July. 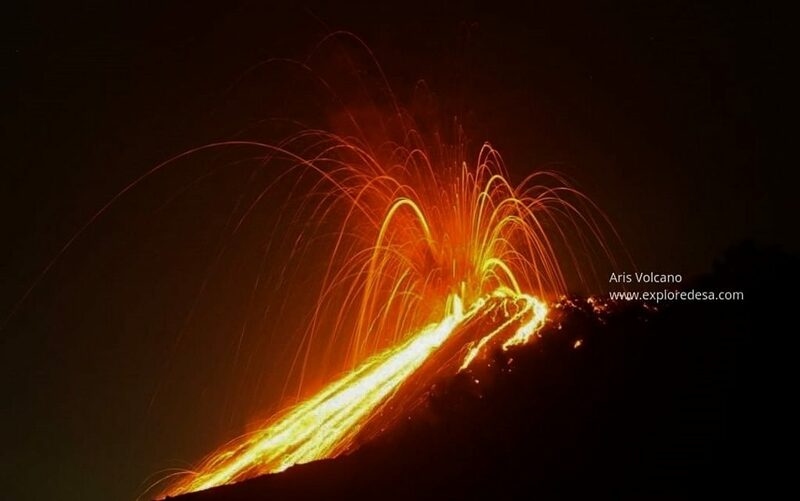 Anak Krakatau is exploding frequently since June 18, 2018. The last strombolian eruptions are however becoming stronger and more frequent – almost every 20 minutes – with lava bombs being ejected more than 1km away from the crater! That’s really amazing! 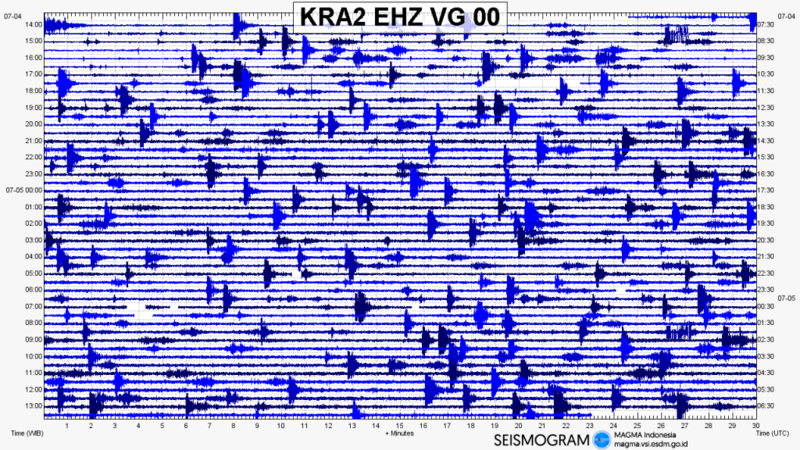 The lastest eruption occurred on July 3, 2018 at 5:33am, which lasted 40 seconds and had an amplitude of 38mm on the seismograph. Since then, Ash emission is continuous and drifting north. 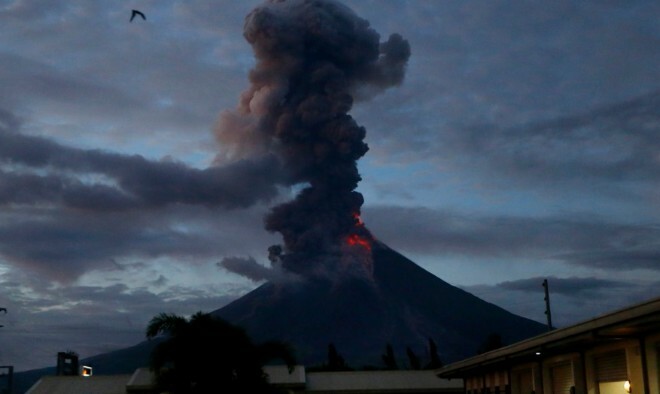 After several months of rest, Mayon volcano erupted on July 1, 2018, at 12:30, sending blue and white clouds of ash 500 meters above the crater. The phreatic eruption occurred around 12:30 local time. In March, the Philippine Institute of Volcanology and Seismology lowered the warning status of the volcano danger from the 3rd to the 2nd. Experts warn it wasn’t a good decision. More than three hundred people are still missing 1 month after a massive eruption occurred at Fuego in Guatemala. 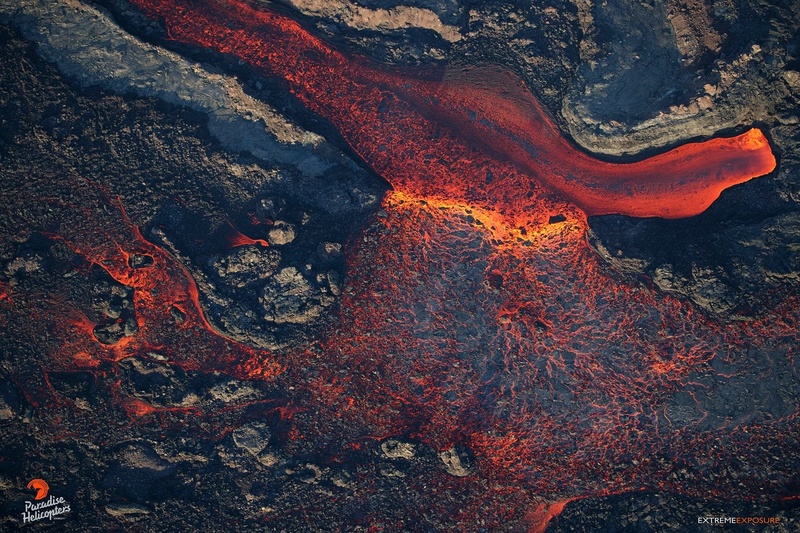 The eruption has now became the most powerful in recent years, affecting more than 1.5 million people. Since the beginning of 2018, Fuego volcano erupted only twice, but has already killed more than 100 people. 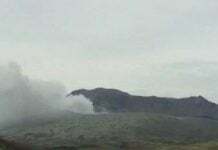 Since April-hand powerful sounds from the crater have been heard by visitors. They will stop when the geothermal system has adjusted to the new lake. 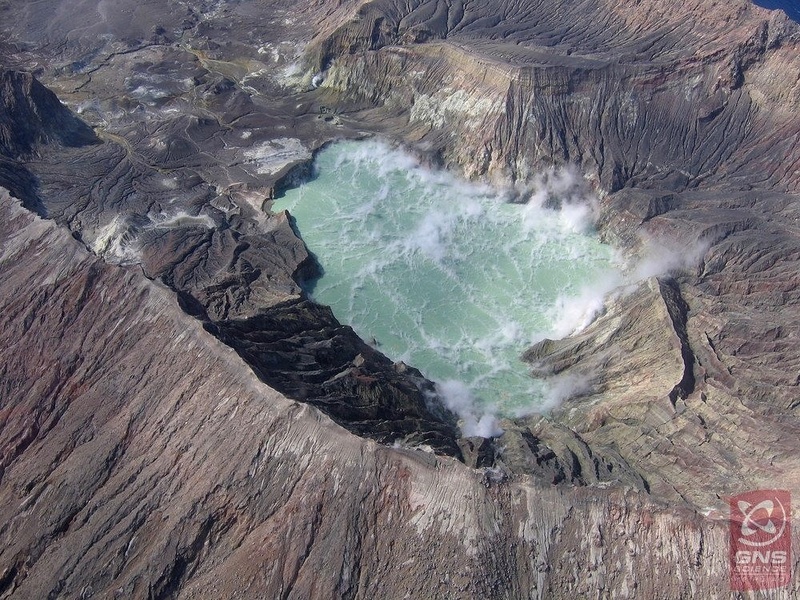 Unrest on White Island as new crater lake is forming. 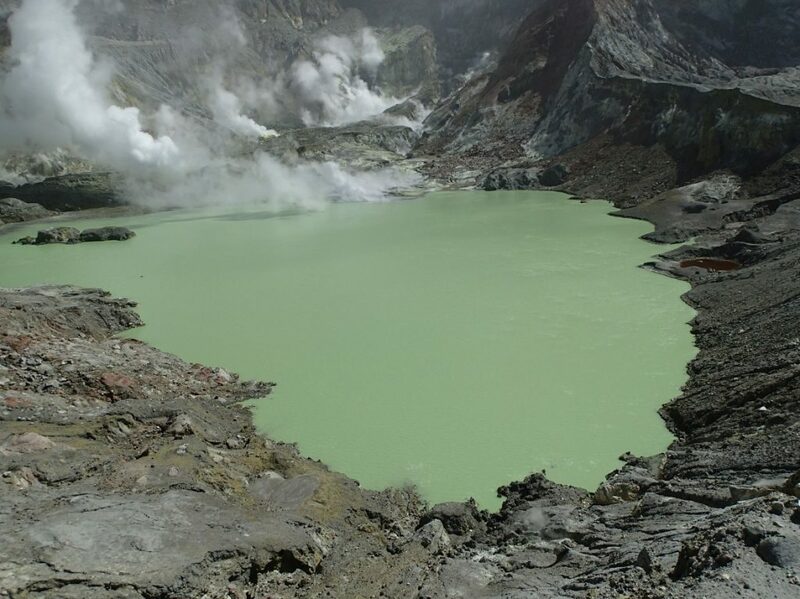 This lake is filling at a rate of 2,000 m³ per day … same rate as in 2003-2004, 2007-2008 and 2013, when previous lakes have drowned, leading to localized geysers and small geothermal eruptions, with occasional formation of small cones of tuff-debris around the vents. If the current lake filling continues at this rate, dome drowning is expected in 3-4 months. Lake drowning could occur in the next months if it continues to fill at this rate. However, observations during a recent overflight confirmed that volcanic activity remains at a stable and low level, with no sign of increasing volcanic disturbances. Therefore, current observations are consistent with minor volcanic unrest. Volcanic Alert Level 1 and aviation color code remains green. In the East rift zone of Kilauea, the activity of crack 8 continues. 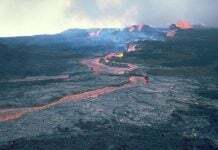 The lava flow underwent temporary blockages on July 3 and 4, which caused overflows near the Kapoho cone. These overflows have destroyed some more houses. 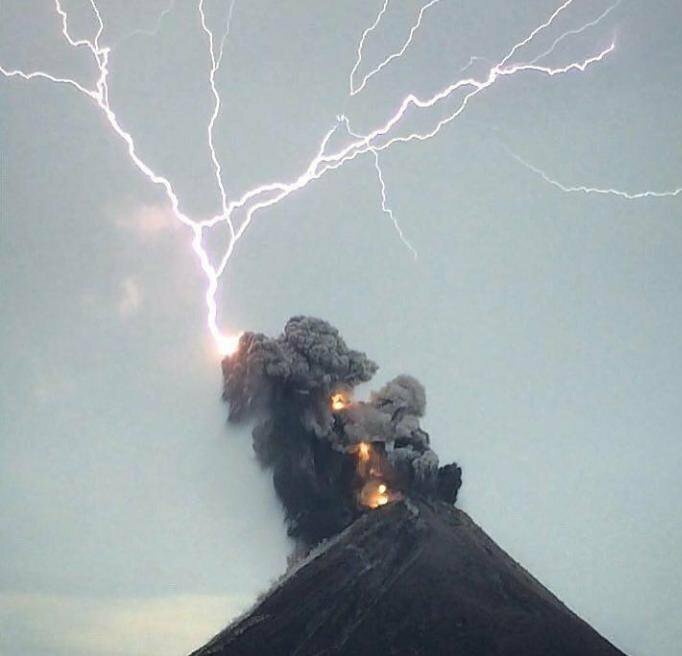 The National Weather Service reports a rare storm over the active lava field of the rift zone on July 2, that produced 1,200 lightnings in just 7 hours. Lightning storm at during Kilauea volcanic eruption. 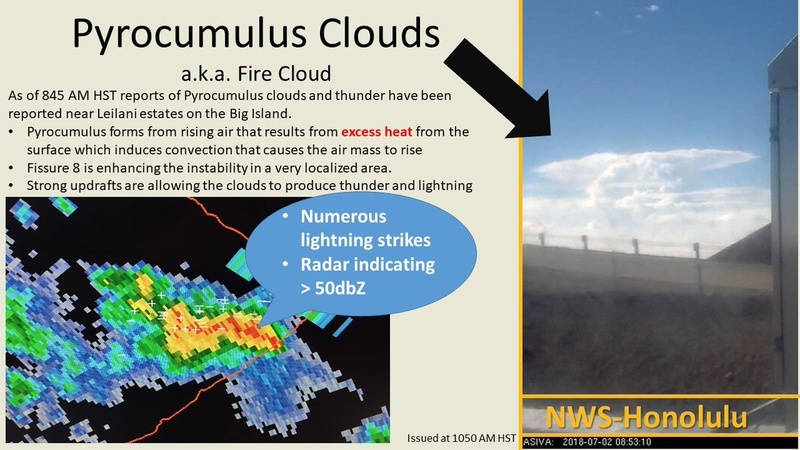 The NWS meteorologist says that the volcano played a major role in this stormy episode, being the basis of the emission of Pyro cumulus. The other actor was an air pocket colder than normal at a lower altitude. Record rain in Japan. 160,000 are forced or advised to evacuate. Look at the huge smoke coming out of the bottom of the Mt. St. Helen, starting at 2:28. Flooding in Belen, NM. July 5, 2018 – raw footage. The reporter, John’s left hand is color-shifting (greenish – blueish) many times. Just top the video often as possible to observe it, and you can find that he is a color-shifting reptilian. My understanding is that between the Sun’s electro-magnetic field weakening and the Earth’s electro-magnetic field weakening, is the cause for extreme volcanic activity and earthquakes.